I certainly don’t need another craft book, but I’m sure glad I picked this one up. It’s by Sue Kim and I didn’t even connect that she’s the lady behind I Think Sew, and I certainly didn’t know she lives in Toronto just minutes from me! 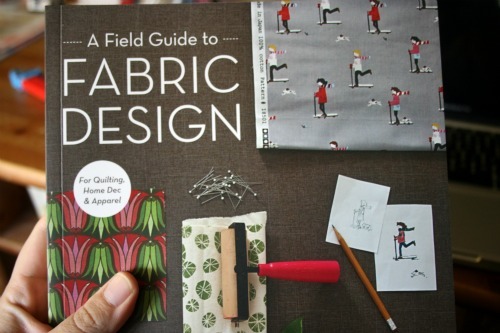 I also picked up this one to add to my collection of fabric printing books. Hopefully I’ll get to spend some time reading them someday. I’m dying to get into making my own fabrics. 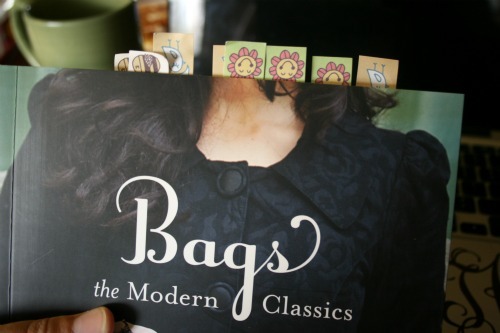 This entry was posted in crafty books, DIY, sewing and tagged bags, books, fabric, sewing, sue kim, totes. Bookmark the permalink. One Response to Glad I bought it! thanks for your email :) that book looks amazing! Wish i could meet you and hang out crafting together.